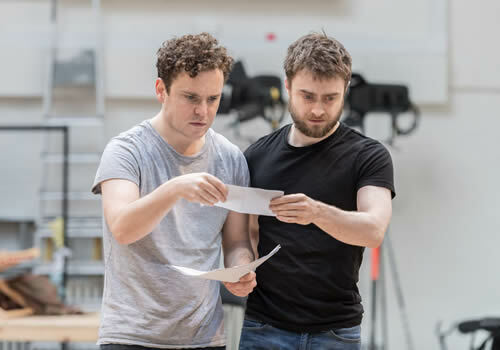 Daniel Radcliffe returns to the West End to star in a new production of Tom Stoppard's comedy Rosencrantz and Guildenstern Are Dead, at the Old Vic Theatre. Directed by David Leveaux and also starring Joshua McGuire, the 1966 play celebrates its 50th anniversary, featuring as part of Matthew Warchus' second star-studded Old Vic season. 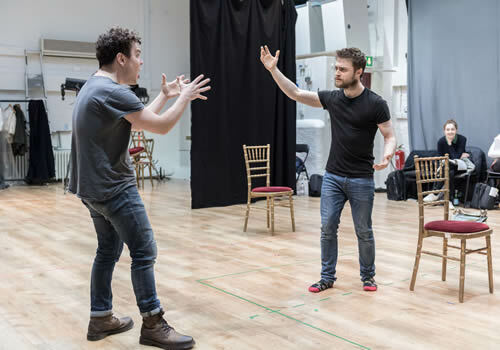 Following two minor characters from Shakespeare's Hamlet, Rosencrantz and Guildenstern Are Dead is the mind-bending situational comedy that sees two hopeless actors take centre stage. As the play goes on, the pair become increasingly out of their depth, stumbling their way through scenes and existential discussion, culminating in a troubling identity crisis. 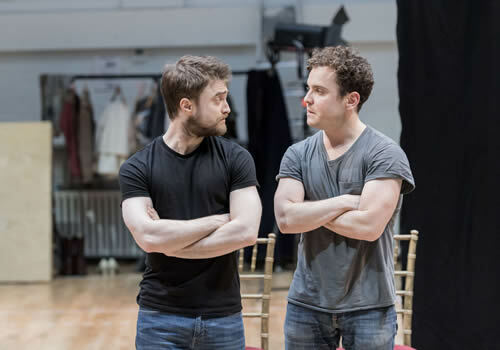 Best-known for playing the title role in the Harry Potter series, Daniel Radcliffe has extensive theatre credits, first making a name for himself in the Broadway revival of Equus. Since then, he has starred in the musical How to Succeed in Business Without Really Trying, the acclaimed The Cripple of Inishmaan and the recent Off-Broadway Privacy. Joshua McGuire is well-known for his film credits such as About Time, Cinderella and Mr Turner, as well as being in the original cast of the Royal Court's Posh. Further cast members include David Haig (Blue/Orange, Guys and Dolls) as The Player, Louisa Beadel as a Player, William Chubb as Polonius, Luke Mullins as Hamlet, Marianne Oldham as Gertrude and Helena Wilson as Ophelia. Directed by David Leveaux (Romeo and Juliet, Passion Play), Rosencrantz and Guildenstern Are Dead is one of Tom Stoppard's most prolific plays, which also include The Real Inspector Hound and the recently revived Travesties. The play features design by Anna Fleische, lighting design by Howard Harrison, sound design by Fergus O'Hare and composition by Corin Buckeridge. 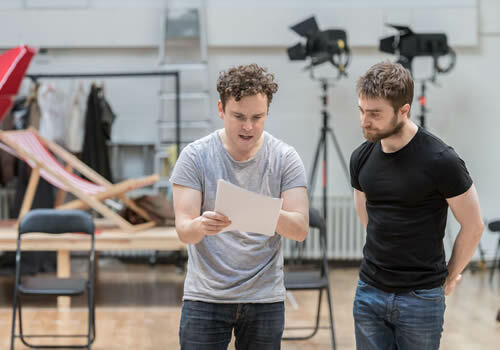 Rosencrantz and Guildenstern Are Dead plays at the London venue from March 2017. Rosencrantz and Guildenstern Are Dead may not be suitable for young children.